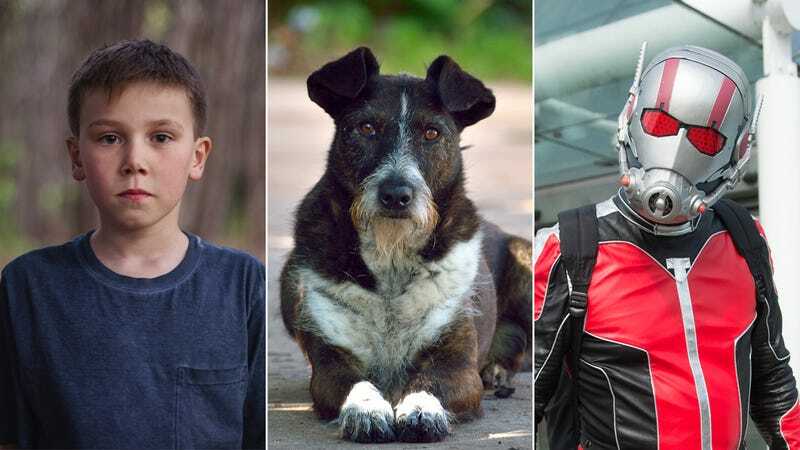 Well, this story we found on a Lithuanian website seems pretty heartwarming as far as we can tell from what little we’ve been able to translate into English: Something happened with a sick little boy and an abandoned dog and an Ant-Man costume, and we can’t quite put the pieces together using Google Translate but it looks like it could be inspirational. Yep, you’re probably going to want to get the tissues ready when you read this one, because whatever went down with this boy and dog and Ant-Man costume seems like it might have been life-affirming based on what we can suss out given the language barrier! It definitely isn’t crystal clear what happened, but it sounds both touching and adorable from what we can understand. We can’t be a hundred percent sure what all of that adds up to, but it definitely sounds like it could be the kind of thing that would warm people’s hearts and inspire them to treat each other better. It seems safe to say that this whole situation looks like it has to do with friendship, or overcoming adversity, or compassion for a sick child, or maybe all of those things. So far, hundreds of Lithuanian people have commented on the article with a phrase that Google has translated to “absolutely delicious,” which we have to assume means that whatever happened with the little boy and the abandoned dog and the guy in the Ant-Man costume was in some way a positive. We were not able to determine why most paragraphs in the article end with a mention of a woman named Ugne, who is described as the “Christmas ballerina” with “no room for child or mutt in her vast garage,” nor did we find any clues as to whether Ugne figures into the story in a positive or negative way. But we do know conclusively that the article includes a word that translates to “sawdust” over 60 times, which must be in the context of some Lithuanian idiom about sawdust. Whatever “they danced for hours with hearts like lightbulbs full of sawdust” means, we’re going to operate under the assumption that it indicates something good in Lithuania. It’s hard to say exactly what happened with the boy and dog and Ant-Man costume, but it’s pretty clear that it was probably a nice situation that should bring a smile to your face. You can stand up just a little taller today knowing that people like the boy and the guy in the Ant-Man costume exist and are out there doing things that by the looks of it seem pretty inspirational. To the little boy, the adult man, and the abandoned dog, congratulations or we’re very sorry, depending on whether what happened to you in Lithuania was good or bad!